Just dreadful stuff from the paper that seems on some days to want desperately to be Pravda on the Potomac. 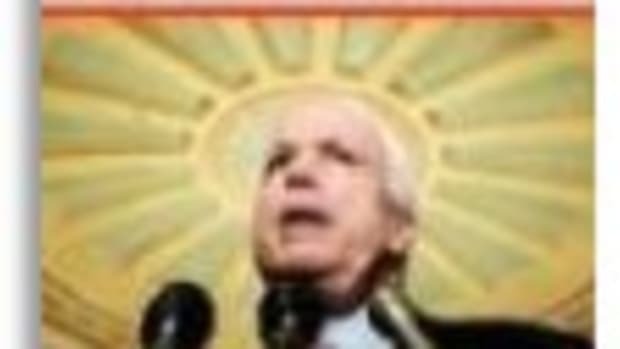 McCain hails from an America that exalted service to country, and he is the scion of a military family who endured five years in enemy captivity and who preaches a mantra of personal honor and of the nation over the individual -- "Country First," as his campaign slogan declares. Because clearly John McCain&apos;s family is so different from the rest of us in their belief in honor and patriotism. I mean, the rest of us unwashed masses couldn&apos;t dare to hold a candle to their belief, right? Obama&apos;s embodiment of a newer America begins but hardly ends with the fact that he would be the first black president. In a country where people liked to know where you were from, Obama lacks a ready answer -- he is part Hawaii, part Kansas, part Chicago. In a recent speech in Berlin, he declared himself a "citizen of the world." Wow, that&apos;s really... a lot less controversial. MORE: Why doesn&apos;t the Washington Post read its own paper?